Today we'd like you to meet Julia Marenco, a recent AnimSchool graduate from the 3D Character Program! She is one talented woman and kind enough to let us ask her a few questions. Did you have any previous experience in the arts, animation, or film? When I started working, I began working as a producer of fashion for an Argentine fashion magazine. After the magazine, I went to work on television as a producer at the beginning, while studying at the National School of Theater, so I ended up working in some soap operas and theater as an actress. Later I began to study animation and when I finished my studies, I started working for a Spanish graphic design company making Flash animations related to school education, something like "The Little Prince" or some fables. 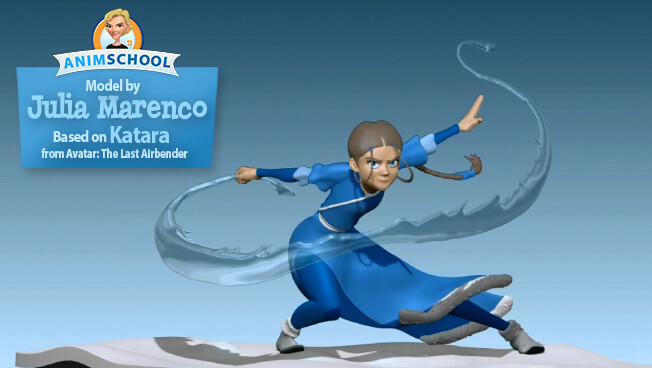 What was the most valuable part of your education at AnimSchool? I can't choose just one part. For me, all my studies in AnimSchool are the most valuable part. All I've learnt is awesome, every single term amazes me. The patience and dedication of teachers, as well how they can get my best from me. The other classes such as General Reviews and the Art Class are inspiring and motivating. And one thing that I want to note is the way we have been taught to think about animation, such as how to make a cute adorable character and in its animation seems to be alive so that their acting touches us. I have no words to thank AnimSchool for everything I've learnt. What made you decide to enroll at AnimSchool to learn 3D modeling? When the first 3D animated movies began to be seen in Argentina, I fell in love. A few years later I started to think I'd love to do 3D, but did not know where I could learn 3D animation in Argentina, till one day I saw an ad in a newspaper publicizing courses in 2D and 3D animation. So I went to the course and there I met a person who told me that before learning 3D animation had to learn traditional animation, drawing the animation by hand. I thought she was right and went back to drawing and started learning traditional animation. Thanks to that, I met a friend (Maximiliano Schneider) who years later would be my first 3D animation teacher and the person who would take me to study in AnimSchool. The funny thing about all this was that when I decided to enroll in AnimSchool I decided to enroll in modeling instead of animation, because I knew nothing about 3D modeling, so I've become a modeler instead. What are you are doing now that you have graduated from AnimSchool? I'm working as a freelance 3D modeler. Last year I modeled a giraffe character for a tv advertising agency and a character that looks like Superman for another agency. 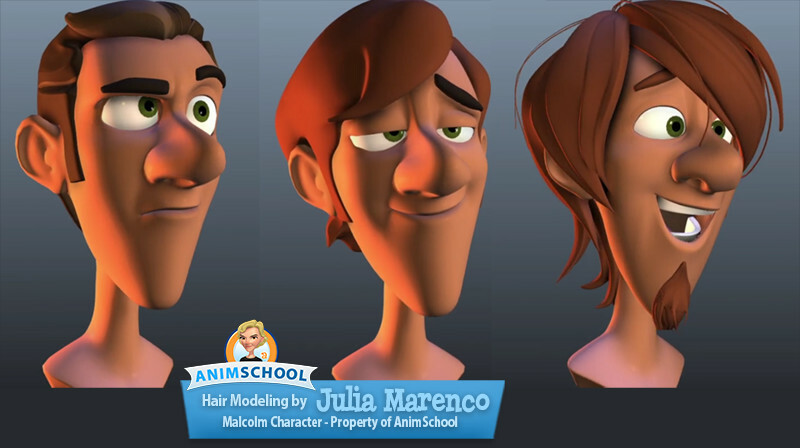 Also I modeled for AnimSchool some of the hairstyles and clothes for Malcolm. Do you have any advice that you'd like to share with people just starting out? Yes, ENJOY YOUR CLASSES, you're the lucky ones now! Thank you so much for chatting with us, Julia! In this video clip from our online animation class, instructor Rahul Dabholkar talks about the importance of personality driven animation. Every month 11 Second Club holds an animation competition in which animators around the world participate by submitting their work. In June 2016, Sergio Martins took first place with his beautifully animated 11 second animation clip. Sergio is an animator from Portugal who has been animating for a little over 10 years. Recently, we got a chance to interview him and learn more about him and his work. We hope that you would enjoy the interview as much as we did. Speak with an Accent from Sergio Martins on Vimeo. So Martins, tell us about yourself. I have always been into animation. Even when I was very little, most of my free time was spent drawing the animation characters from the shows I was watching at the time. When I was 15, instead of entering a normal high school, I was very lucky to be able to go to a high school with a specific animation technical course. All the animation classes were in 2D medium, which was great since my favourite animations back then were all in 2D. I was a huge fan of western animation masters like Glen Keane, James Baxter, Sergio Pablos, etc, but at the same time I was introduced to Japanese Classics like Akira, Princess Mononoke, Ghost in the shell among many others. Both these different approaches to animation have hugely influenced me and I try to merge a bit of both in my own stuff. Once I finished high school I started working directly for one of my animation teachers. I animated for children TV shows for some years and at the same time I was lucky to be able to co-direct an animated music video for the Portuguese band Moonspell. I was around 21 years old at that time (10 years ago) and the experience helped me a lot to understand how to manage an animation production under a tight schedule (we had a couple of months to animate almost 5 minutes for the music video). After that I worked on a lot of different Portuguese animation productions. Right now I'm working on a Pilot for an animation TV show, unfortunately I can't show anything yet. So was it easy for you to transition from 2D animation medium to 3D? What was the best part of it and what was the worst? It was a smooth transition since it was a very slow one. The first project where I animated in 3D was Foxy & Meg, a kid's show for television in 2006. The animations and rigs were extremely simple. Later I did some 3D animations for video games, but once again, nothing too fancy. More recently in my short film, “Poet Anderson – The Dream Walker” I animated a little more complex 3D creature, but I still felt I never really animated any character acting/talking using a top quality rig. Last month I decided I had to do a more complex and detailed acting scene with a 3D top quality rig, once and for all. I was very lucky to have a free rig like Malcolm's to use, and that is why I decided to participate on the “11 second club” competition. It would give me a dialogue and more importantly, a motivation to keep working with a deadline otherwise, I wouldn't even be halfway through the scene by now. -Definitely the ability to have much more detail. It's very hard to animate the small facial expression nuances in 2D. -ls so cool to not have to clean up your animation once you finish animating it in 3D. I spend as much time cleaning up my 2D animation as I spend on actually animating it. There are no the rig's limitations (even if it is a really cool rig, there is a limit to what you can do with it). -In 2D you can be way more graphic on your approach to the animation since you are working with fewer lines, and you can be very picky about the way a line is drawn to convey a specific emotion. Tell us about your workflow in 3D animation. How did you animate your winner shot? First I started by deciding on a “story” for the dialogue. It was supposed to be a casting for “Life of Pi”. Unfortunately, since it was my first time animating 3D with such a complex rig, I had a lot of problems with Maya, and ended up not having time to do the story I had in mind. After the story I did some small thumbnails, just to try out very basic ideas, my main focus at this stage is the image composition, the character most important key and very basic acting choices. For this scene specifically I really wanted to focus more on the character's facial expressions and not so much on the body or hands. After deciding the composition and going through some acting ideas, I filmed myself acting out the dialogue. The plus side of filming reference is that I could try out a lot of crazy stuff in a small amount of time. A lot of small acting ideas and movement subtleties came into consideration in this stage. I think it is important to differentiate this stage from the rest since the keys are probably the most important stage. I try to tell as much as possible about the character and scene in the fewer amount of keys possible (2 or 3 keys should show the whole scene intention). I look at the video before doing the main poses but the actual keys will be very different from the reference (which just gives me a direction to follow). Maybe because I come from a 2D background, before I start the spline, I usually have a key on every 2 frames, sometimes I even have a key on every single frame on a more specific part of the scene. That way I have a very clear notion of what my animation will look like in the end. My spline is very simple, it mostly consists of cleaning the curves and exaggerating the timing here and there. After the spline I will polish the bits of animation that are lacking enough life or information in it. How was your experience with AnimSchool's Malcolm rig? Before starting the animation, I checked some free rigs from different sources and even though there are some really great free rigs out there, since I was coming from 2D animation, I wanted a rig that would let me manipulate the character as much as possible and Malcolm was definitely the most complete of all of the rigs I found. It was a bit slower than other rigs I found (probably because I was using a pc from 2009 to animate the scene), but it was an easy decision to choose Malcolm's rig since I like to control every tiny bit of the face in every frame and Malcolm had a huge amount of extra controls. It was really cool to be able to get the expression exactly right. Big thanks to AnimSchool for letting animators use it for free! Before ending this interview, what advice do you have for animators out there who want to improve their animation skill and become a better animator? If you haven't yet, read the books “Illusion of life” by Frank Thomas and Ollie Johnston and “Animator's Survival Kit” by Richard Williams. They were huge in my animation education. Keep it simple. Exercise walk cycles, hand gestures, changing of expression, jumps, etc. but always in small animations, 1, 2 or 3 seconds maximum. If you keep the exercises small, you focus on the areas you want to improve and learn a lot without getting lost in a complex animation. After you feel more comfortable in specific small animations, you can start mixing exercises. Before starting animating a jump for example, try to get inspired, research jumps from films, athletes or other animators, or maybe cool drawings in comic books or something you saw that moved you. Once you have that “it would be so cool to animate it this way” feeling going on, the animation comes out much more easily and you actually have fun doing it. Study the animations from the best (in my case it helps a lot, and inspires me). Once again, since I'm from 2D my favourite animators are James Baxter, Sergio Pablos, Glenn Keane, Nick Ranieri, Milt Kahl, Andreas Dejas, etc. I like to spend some time studying these guys' pencil tests, and try to figure out the choices they made, or understanding their approach to movement in general. Animation Reel 2016 from Sergio Martins on Vimeo. 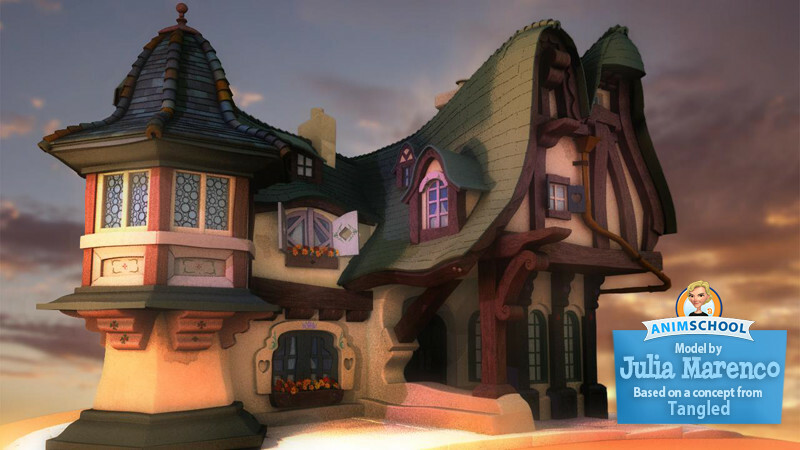 At AnimSchool, you will learn industry-ready 3D skills from more than 30 instructors from top studios such as Blue Sky, DreamWorks, Disney and Pixar. The best part is that you are able to attend classes and master the skills from home, from anywhere in the world, for just a fraction of the cost of a traditional college. Each term, a few times a week, AnimSchool offers extra critiquing times from current instructors and other industry professionals. It can be very helpful to get a second or third opinion of your work, outside of your class. In animation, no matter what your area of focus is, getting lots of feedback will bring your project to the next level. Even professionals at the best studios in the world regularly discuss each other's work. Sometimes it just takes a fresh pair of eyes to see the areas that need improvement. The Atrium is generally offered once or twice a week and is very similar to the General Reviews except they are run by AnimSchool graduates and students. This is your chance to interact with fellow AnimSchoolers and help each other with your assignments or personal projects. 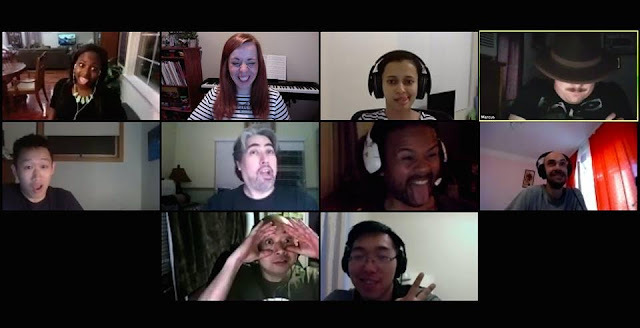 One of the most beneficial AnimSchool perks is that since each class is attended via video conferencing, they can also be recorded. Every single class is recorded and available for later viewing. Once you sign up for a particular class, you will automatically gain access to every single class recording throughout every term that the class has been offered. That is hundreds of hours of valuable information that is hard to get anywhere else. Whether you are focusing on animation, modeling, or rigging, it's just as important to grow artistically as it is technically. Developing your artistic ability will increase your skills and your competitiveness. AnimSchool offers every student access to free live art classes most terms, as well as full access to recordings of past art classes. In these classes you will learn everything from character design to anatomy to storyboarding from current industry professionals. Once you graduate from AnimSchool, you will never lose access to the school. You will still be able to watch every class recording available to you, as well as all recordings from every general review, atrium and art class past and current. You can even still attend the general reviews, atriums, and art classes to get feedback on any personal project you may be working on or to further hone your artistic ability after graduation. When you graduate from most traditional colleges, you might feel like you'll have to spend the rest of your life paying off your student loans. But when you get your certificate from AnimSchool, you will be all paid up! 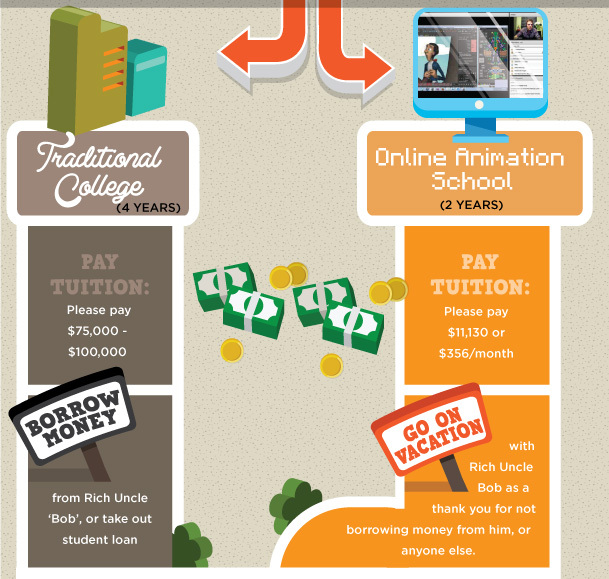 AnimSchool tuition costs are among the lowest high-end U.S. animation education. We also have some very convenient payment plans (the lowest being only $356 per month.) 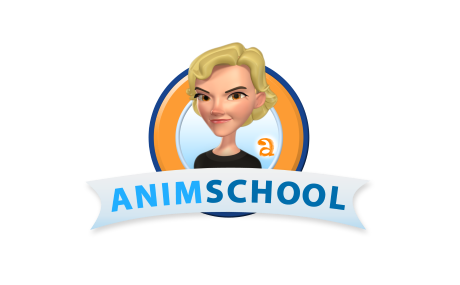 At AnimSchool, we want to help people all over the world with animation education, regardless of economic status. 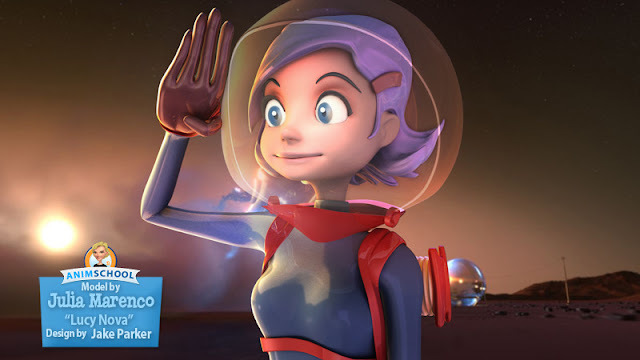 For people with lower-incomes, we provide a special need-based Discount program, "Global Access," with the lowest possible price to access the best 3D animation talent in the world. Global Access tuition is approximately 1/2 the usual cost. Paired with the EasyPay program, the monthly payments can be very low. 7. AnimSchool Rigs - Forever! AnimSchool is known worldwide as a leader in appealing, flexible 3D character rigs, with almost 50,000 downloads of our famous Malcolm rig. One of the best kept secrets of AnimSchool is that our graduates get permanent access to current AND FUTURE AnimSchool character rigs. We have quite a collection to use. Being an online animation school, you may think that there is not a real sense of community because we are all scattered throughout the world. However, this couldn't be further from the truth. As a current student myself, I can tell you with absolute honesty that every student and instructor is so friendly and enthusiastic that you forget how far apart you are. Each class feels like you are all actually in the same room, sitting right next to each other, eagerly absorbing as much knowledge as you possibly can. Often as you progress in your program, you will start seeing more and more familiar faces throughout all of your classes. As long as you are friendly, reach out and actively participate, you will likely make some very good friends because chances are you and your classmates, as well as your instructors, will have several (and probably very geeky) common interests. Of all of the perks this school has to offer, I feel that being a member of this community is the best part. The people you meet through AnimSchool will be some of the best people you will meet in your life. Regardless of where you live, your backgrounds, or your area of focus, you are all connected by one common goal. To create and bring to life unique characters. To tell stories. To entertain, uplift and connect with audiences in a way that only animation can. To sit quietly in a crowded movie theater on opening day watching and listening not so much to the movie playing in front of you, but to the audience's reactions to a film you helped to create. To make a career out of doing something you truly love.